Thelma Beery of Claypool was born Oct. 1, 1922, to Elmer and Ida Fritz Drew. She will celebrate her 90th birthday with an open house hosted by her family from 2 p.m. to 4 p.m. Sept. 30, in the fellowship hall at Claypool United Methodist Church. Thelma married Dale Beery on March 14, 1945. He died Aug. 17, 2007, after 62 years of marriage. The couple had five children: Paul (Kathie) Beery; Asenath Wilson; Marie Beery; Douglas (Marlou) Beery; and Leon (Roxanne) Beery. Thelma also has 14 grandchildren and 13 great-grandchildren. After graduating from Miami Valley Hospital school of nursing, Thelma practiced nursing at Taylor University, Manchester College, Mason Health Care and Grace Village, among others, before finally retiring at 72 years of age. 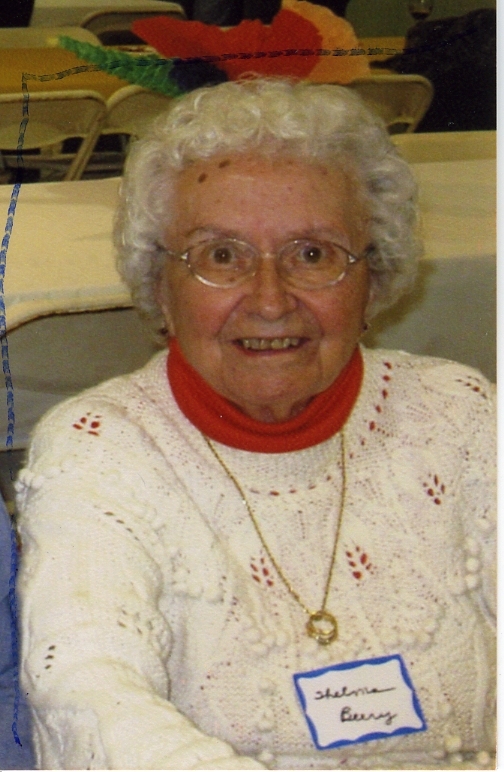 Besides homemaking and nursing, Thelma was active in Packerton and Claypool United Methodist churches, Kosciusko County Extension Homemakers, Widows of Warsaw and Kosciusko Women’s Connection. She also enjoys playing games with family and friends, especially rook and euchre.